Social fears are among the most common forms of anxiety in our society. Social phobia, the clinical syndrome, can seriously impact a person's life, increasing the risk of depression, substance abuse, and suicide, and reducing opportunities for social interaction, sustained relationships, and careers. The good news is that empirical evidence shows treatment for social phobia can be highly effective in producing change, and treatment that emphasizes the learning of new skills produces more change than simple education and/or medication. Rapee and Sanderson furnish a practical treatment program whose components are based on empirically validated techniques. Drs. Rapee and Sanderson furnish a clear guide to self-monitoring, cognitive restructuring, social skills and assertiveness training, and exposure to the phobic situation, in a step-by-step manual that emphasizes the importance of the client-therapist relationship and allows for freedom of individual therapeutic style. A special section outlines a new technique, attention training, which helps clients to focus on the task at hand rather than on their anxiety over how their performance will be perceived. The book is an ideal blend of evidence-based theory with clinical application. 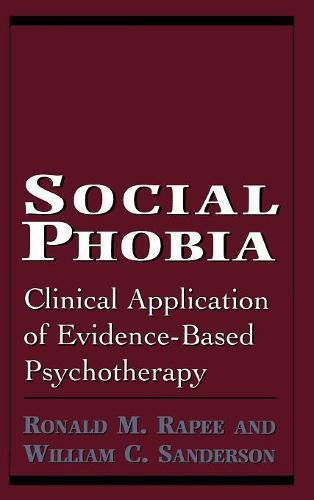 -- Carol Lindemann, Ph.D.
Social phobia is severe and prevalent. Here, at last, is a treatment program with proven effectiveness. Developed by two of the leading clinicians/clinical scientists in the field and presented in an easy-to-use format, the program can be smoothly incorporated into the practice of any therapist who works with social anxiety. -- David H. Barlow, Ph.D.
Social Phobia delivers a complete cognitive-behavioral treatment package for shyness-a life-restricting form of anxiety. Therapists will appreciate Rapee and Sanderson's soup-to-nuts program, which includes assessment tools, homework sheets, sample therapist-patient dialogues, and advice on special treatment problems. Their structured and targeted approach will be especially valuable in this era of managed care. -- Paul Foxman, Ph.D.